Wieden+Kennedy London turned their Hanbury Street office window into a Christmas installation. Passers-by who inserted a 1 pound coin into Dan & Dave’s Chocolate Coin Factory activated the machine on display which then dispensed a special gold Belgian chocolate coin at the other end. All the money collected from this coin factory was donated towards building a new playground for Millfields Community School in Hackney, East London. Holler an agency from Sydney created a live interactive installation that gave the general public a chance to disrupt the agency as it worked throughout the day. Electric Muscle Stimulation (EMS) units were hacked and hooked up to the Internet via IP cameras. Then key members of the agency were connected to the EMS units, and the Internet via a live stream. The public could then watch the agency staff online and instantaneously zapp them at will with the click of a button. For each disruption the agency donated $1 to The Factory, a local community centre with a long history of supporting socially and economically disadvantaged local residents. Crowdsourcing agency Victor & Spoils for its holiday card transformed the Dove Body Evolution model into Santa Claus. Delov Digital from Hungry used Chuck Norris to top Jean-Claude Van Damme’s epic Volvo split with the help of some serious digital enhancement. 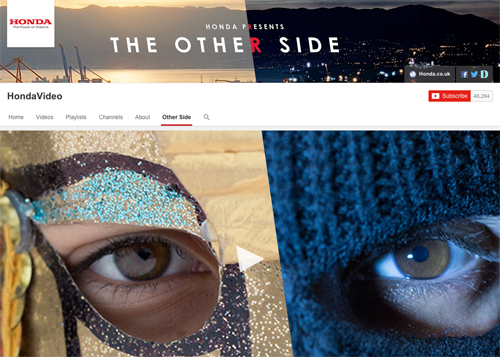 Wieden + Kennedy London has recently unveiled a first of its kind interactive TV campaign for the new Honda Jazz called “This Unpredictable Life”, in which an iPhone app (iTunes link) is used to literally grab content from the ad (YouTube link) as it plays. 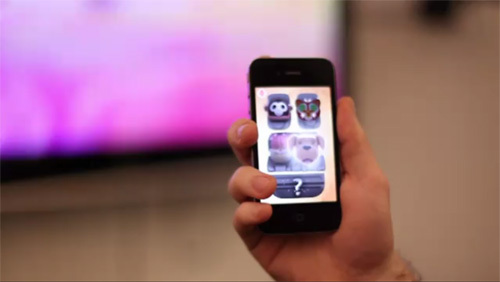 The campaign uses what is called “screen hopping” that works by having sound from the TV ad recognized by the iPhone App. The app then uses the predefined sound waves to know which character to display on screen at that moment, essentially giving the ability to interact with the TV ad in real time. Once you have got the character, you can interact separately with each one away from the TV ad, by doing things like singing into the iPhone to make the characters dance. I am sure this is only just the beginning of many more such engagement campaigns, as last year we also saw Dentsu Japan using a similar iPhone app engagement model, for its location based augmented reality coupons.